United States one dollar bill (obverse). 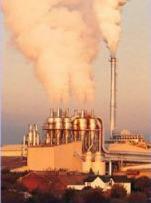 CO2 and Other Exhaust gases spewing out of an industrial plant. Do you fight global warming, or prevent it?